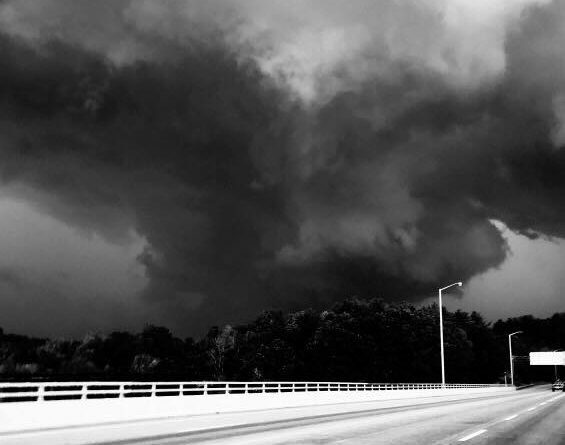 Meteorologists from the National Weather Service on Friday headed to the Brunswick and Bristol areas hoping to determine whether a strong thunderstorm on Thursday contained a microburst. Meteorologists from the National Weather Service visited several midcoast towns on Friday, trying to determine whether Thursday’s thunderstorm unleashed a microburst or two. 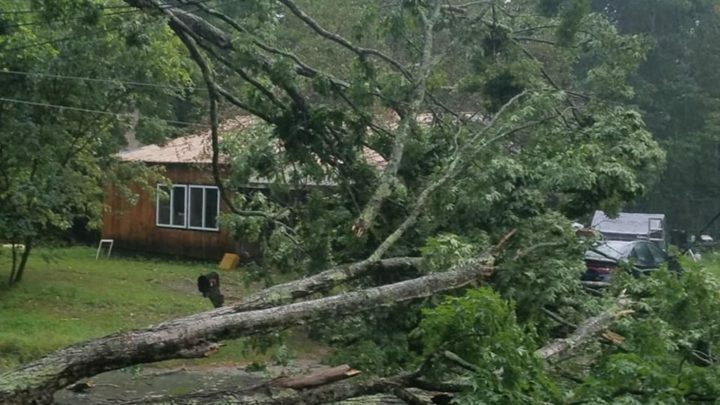 Meteorologist John Jenesius headed to Brunswick, Boothbay and possibly Bristol to evaluate the damage from a Thursday afternoon storm that left more than 25,000 people without power. Some areas, including parts of Bristol, remained without electricity at noon Friday. On Thursday, the National Weather Service said the storm was limited to “strong, straight-line winds,” not the circular winds characteristic of a microburst. Still, gusts reached 65 mph in Bristol and 69 mph on Pemaquid Point, meteorologist Margaret Curtis of the NWS Gray office said Friday, adding that it’s possible gusts were stronger in areas with no sensors. Class I hurricane winds begin at 74 mph. A storm took down trees and powerlines in Bridgton along Willett Road. Meteorologist Derek Schroeder of the National Weather Service in Gray said Thursday that the storm started in Bridgton at about 11:20 a.m. and by noon had hit Brunswick at greater than 60 knots. It continued on to Bath, Boothbay Harbor and Pemaquid Point. “We got hit very hard, very fast,” Brunswick Fire Chief Ken Brillant said late Thursday afternoon. Trees fell on three houses in Brunswick, downed trees and wires affected at least 30 roads and blocked nearly a dozen, and power was out throughout the downtown area and at Bowdoin College, while traffic lights at Cook’s Corner and all along Pleasant Street were not working, police said. School was canceled in Brunswick on Friday after power was not restored by 7 a.m.
Several businesses on Maine Street, including the Little Dog Coffee Shop, closed to “recover” from the storm. Pemaquid Trail, a road several miles long, was still blocked by downed trees and wires at 11:30 a.m. Friday. Other side roads on Pemaquid Point and the Long Cove Point area also remained without power, Leeman said. Damage estimates were not available. At 2:28 p.m. Thursday, Central Maine Power reported that 25,705 customers were without power. Of that total, 12,717 customers in Cumberland County were without power, with 8,125 of them in Brunswick and 1,803 in Harpswell. By noon Friday, that number was down to 6,223 customers without power, including 2,358 in Lincoln County, 1,900 in Cumberland County and 1,091 in Androscoggin County. More than 200 lineworkers deployed to the area between Freeport and Bristol, hoping to restore power by late Friday evening, a release from CMP said Friday.